The long, slender black fruits of Vanilla planifolia are the vanilla “beans” that are one of the most recognized and popular flavors in the world. 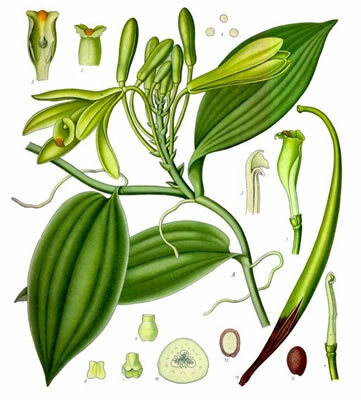 The vanilla extract we use in cooking comes from the vanilla orchid vine. While vanilla does not have any medicinal properties per se, it does help to improve digestion. Vanilla is often used to flavor less palatable herbal medicines. Preparation Methods & Dosage :Whole vanilla pods can be used in teas and add flavor to sugar and coffees. 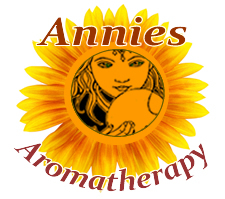 Vanilla works well as an ingredient natural potpourri. You can make your own vanilla extract by soaking split vanilla pods in alcohol. In the Kitchen: Don't limit your use of vanilla to desserts, but experiment with vanilla in stir frys and fish dishes for a unique flavor. Each bean pod contains small, dot-like beans that can be scraped from the pod with a knife. About 1 teaspoon of beans should be sufficient for most recipes. 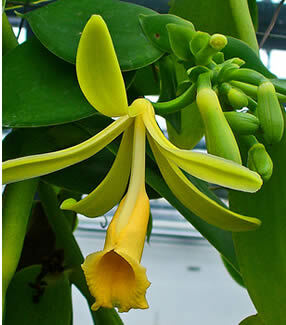 Vanilla is is a stout, climbing orchid that grows in tropical evergreen forests by attaching itself to living trees. Orchid growers often train vanilla vine on a greenhouse wall. Vanilla is labor and time intensive, each flower must be hand pollinated to produce a vanilla pod.